All of our treatments have been specially designed to have a luxurious spa feel utilizing clinically proven products and integrating cutting-edge technology to give you the results you want. All of our standard facials include your choice of: one of our three medical-grade aroma blends and any one enhancement of your choice. 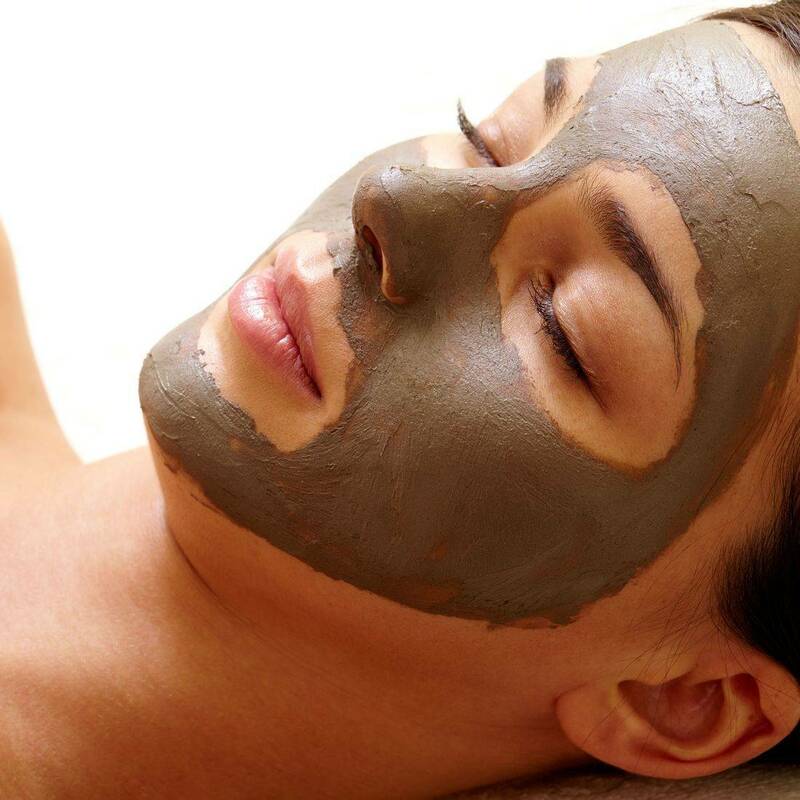 Our deluxe facials include the aroma blend plus one DELUXE enhancement. Choose before or with your esthetician during your comprehensive consultation. Enjoy this 45 minute service completely tailored to suit your skin's needs. First your skin is analyzed while your esthetician consults with you to create a custom treatment plan including your enhancement of choice. The journey begins with a deep cleanse your utilizing a Clarisonic brush tailored for your results. We then use a combination of manuel exfoliation and/or choose from an assortment of different strength enzymes to give you just the right amount of exfoliation giving your skin a luminous glow. We then move into gentle extractions to remove any hidden impurities. A custom picked masque is first massaged with a lymphatic drainage technique. A second layer is applied to deliver deep penetration of hydration and potent antioxidants. To take your results to the next level, we then add your chosen enhancement. The journey finishes with the right corrective serums to maximize results and a mineral SPF to protect your now radiant skin. Want more? More pampering, more enhancements, more results? This 75 minute facial includes so much more. This ultra-indulgent facial journey includes everything the Radiance has AND any DELUXE enhancement of your choice making this completely customized from start to finish. Consult with one of our expert aestheticians to create a path that gives you a perfectly tailored treatment just for you and your skin. Browse through some of our suggested skincare paths or make up your own. Seeking instant and long-term results? Get both with Dermalinfusion! This treatment immediately initiates repair and recovery from hyperpigmentation, wrinkles, uneven texture, and roughness. It is a 3-in-1 advanced technology that simultaneously EXFOLIATES, EXTRACTS and INFUSES for radiant and rejuvenated skin. This expeditious treatment begins with a seriously deep cleanse with a custom chosen Clarisonic brush. Then, you receive a thorough and detailed dermalinfusion treatment to exfoliate, extract and infused simultaneously. Your corrective serums and topical antioxidants are applied after and the skin is protected by a SPF to protect your now detoxed and glowing skin. This is a great option as a maintenance strategy or someone on the go. Enjoy this 45 minute service completely tailored to suit your skin's needs. First your skin is analyzed while your esthetician consults with you about your desired results to create a custom treatment plan including your enhancement of choice. The journey begins with a deep cleanse your utilizing a Clarisonic brush tailored for your results. We then use a combination of manuel exfoliation and/or choose from an assortment of different strength enzymes to give you just the right amount of exfoliation giving your skin a luminous glow. We then move into gentle extractions to remove any hidden impurities. 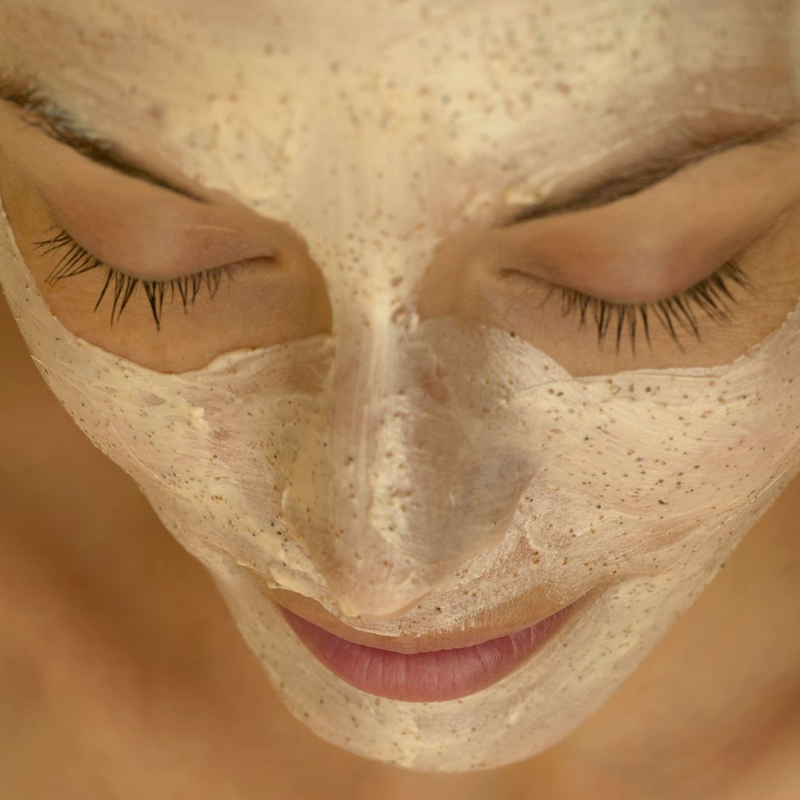 A custom picked masque is first massaged to encourage lymphatic drainage, detoxification, and circulation. Then a second layer is applied to deliver deep penetration of hydration and potent antioxidants. To take your results to the next level,we then add your chosen enhancement. The journey finishes with the right corrective serums to maximize results and a mineral SPF to protect your now radiant skin. Want more? More pampering, more enhancements, more results? This 75 minute facial includes so much more. This ultra-indulgent facial journey includes everything the Radiance has AND any deluxe enhancement of your choice making this completely customized from start to finish. Consult with one of our expert aestheticians to create a path to give you a perfectly tailored treatment just for you and your skin. Browse through some of our suggested skincare paths or make up your own. THE ULTIMATE 110min Do you want it all? This is the ultimate skin transforming journey with undeniable and obvious results. This state of the art treatment begins with a extensive cleanse using the biotherapeutic ultrasonic technology, then a dermaflash demo is performed to remove any vellus peach fuzz and surface dead skin cells to prepare your skin for the patented 3 in 1 dermalinfusion system to extract, exfoliate and infuse your custom chosen solution to the entire face, neck and decolletage. Then, a custom chosen peel is applied to the skin to reveal your newly clear and radiant skin. We then use The LED light therapy on the appropriate mode for your skin to stimulate collagen production and kill any lingering bacteria in the deep layers of your skin. While your face is soaking up those revitalizing rays, your hands and feet are then placed in heated mitts filled with a blend of organic coconut and shea butter to cocoon them while the mask is penetrating over the course of your service. Moisture and antioxidants are delivered and the reminanse of the mask is tenderly massaged into your hands, arms, feet and calves. Your aesthetician will then apply the perfect specialty masque to your face, eyes, lips and decolletage to give all your skin the right dose of nourishment. While your skin is absorbing the masque, a moroccan oil scalp treatment will be done. We then perform the Nuface microcurrent to tighten, contour and lift the muscles. The next step is referred to as “fire and ice”. The TRIA™ fraction laser is used to stimulate your collagen production and then the oxygen infusion after to cool, calm and restore hydration. The perfect corrective serums are chosen and you are topped with a mineral SPF to protect your newly radiant skin! One of these is included in our Amara Radiance Facial and Amara Dermal Infusion. Pick now or with you expert aesthetician! You probably have already tried a product mask that either hydrates or exfoliates somewhere else. Remember how soft and supple your skin felt after? Now imagine trying these clinically proven and specially engineered masques to amplify the results. We have a vast assortment and one of them is just what your skin needs. Choose a Collagen building, Brightening or Restorative sheet masque or one of our varied collection of Casmara Jelly peel-off algae. The unique and pioneering Algae Peel-Off Facial Mask gives a light and pleasant pressure over the applied area, favoring penetration of the active ingredients applied during treatment as well as those inherent in the mask. It is possible to apply the mask over the eyes and lips, reaching areas other products fail to reach! This high technology cosmetic, lowers the temperature of your skin improving the general appearance of the eye contour area in addition to firming and toning the skin. Nothing compares to it! We understand that everyone's skin is unique. And just like a snowflake, no two faces are exactly the same. That is why we offer the largest assortment of both clinical and botanical acids, in different strengths and active ingredients, to our clientele. No matter if you have sensitive or thick-skin, dry or oily, dull or uneven, we have a peel for that! The BT-micro is the ultimate in hand held professional technology that offers a combination of ultrasonic exfoliation and microcurrent action using forward thinking patented technology. Bt-Micro is the facial device of choice for combating wrinkles, fine lines, sagging skin, poor skin texture and tone, enlarged pores and acne. This professional strength skin rejuvenation tool is designed to be gentle, non-abrasive and suitable for all skin types, from Acne to Rosacea and mature sun damaged skin. Even the most sensitive skin types will benefit from bt-Micro treatments without the risk of any significant erythema (redness) occurring. We all need a little extra love sometimes. This indulgent treatment puts the pamper into your already amazing facial. A replenishing body mask applied to the hands and feet. The hands and feet are then placed in heated mitts to cocoon them while the mask is penetrating over the course of your service. Moisture and antioxidants are delivered from the blend of organic coconut and shea butter. The ruminants of the mask is tenderly massaged into your hands, arms, feet and calves to transport you into a tranquil state all whilst leaving your extremities soft and supple. This experience is pure bliss. Argon oil is the beauty industries gold standard for healthy, smooth hair. First, the warm oil is applied to the scalp by sections, then the restorative Moroccan Oil hair masque is massaged in to ensure every strand is quenched with this nourishing treatment. After the masque has had enough time to penetrate deep into every follicle, a hot towel is used to remove the excess and further drive in the nutrients. The Signature Moroccan Finishing Oil is then placed on the ends of the hair for exceptional repair. We recommend the remaining product be left on for 2-3 hours post service to get the maximum results of this treatment. One of these is included in our Amara Signature Facial and Amara Dermal Infusion Signature. These are assortments of our high-end facial enhancements designed to create exclusively unique facial results. Add as many as you'd like to create a truly one of a kind treatment that addresses all your skincare desires. Wrinkles on the face are bad enough. But when they form on the chest and neck, they can really affect your self-confidence and body image. As bad as décolletage wrinkles are, they do not have to be accepted as inevitable. Existing wrinkles can be healed, and new wrinkles can be prevented from forming. This treatment includes a customized exfoliation and a moisture rich sheet masque designed to rebuild lost collagen and even the tone of this sensitive area. Give your skin a visible transformation with this unique experience that provides instant results. Fine lines and blemishes appear visibly reduced, skin looks rejuvenated, radiant and fresh. Cooling, calming, pressurised oxygen increases absorption of your corrective serums and naturally improves your skin’s moisture levels while vitamins and antioxidants protect and defend. Instantly, your skin looks smoother with reduced appearance of fine lines and wrinkles, better volume and increased firmness. Your skin will emerge deeply hydrated, balanced and glowing with vitality. Results are not only instant but continue to improve in the following days. Start rebuilding your collagen and see younger-looking skin. This is FDA-cleared to be safe and effective for use on the entire face and on all skin tones and types. Clinically proven to visibly restore the natural luminosity of your face, this treats fine lines and wrinkles all over the face, resulting in more youthful, radiant, and refreshed skin. This laser uses Non-Ablative Fractional Laser Technology to stimulate collagen production and is best described as the “baby brother” to the more invasive Fraxel. Starting in your late 20's, you lose up to 1.5% of collagen every year. Our Tria™ Laser reverses this process by sending targeted beams of light deep beneath the skin’s surface where collagen and elastin form, accelerating skin's natural rejuvenation process. Skin may be pinkish and have a sensation of a mild sunburn the day of the treatment. Combine this with another soothing deluxe enhancement, such as oxygen infusion, LED light therapy or a cooling specialty masque to calm, comfort and enhance the results. This is one of our most results driven add ons. INSTANTLY unveil the skin you have always dreamed of. Dermaflash uses a subtle sonic vibration and proprietary Edge to safely and painlessly exfoliate and sweep away pesky peach fuzz. This instantly creates a flawless canvas for skincare and makeup by removing the oldest layer of dead skin cells, built up debris. This is a phenomenal addition to any of our facial services! This is a painless, relaxing, non-invasive skin-care treatment that has multiple benefits—particularly stimulating collagen and treating mild to moderate acne. LED light therapy works by using an array of bright light-emitting diodes (originally developed by NASA!) that send low-level light energy into the deeper layers of the skin. Red LED stimulates cellular activity, including the fibroblasts that produce collagen, which gives young skin its plump look, minimizes fine lines and wrinkles, treats sun-damage and reduce redness after more aggressive treatments. Blue LED works by killing Propionibacterium acnes, the bacteria that lives below the surface of the skin and is responsible for acne. This marvelous anti inflammatory can be added to any facial and is ideal for post aggressive treatments such as peels, laser or dermal infusions. This is an award-winning skin care instrument designed to stimulate the facial muscles for a more youthful appearance. Featuring microcurrent, this rejuvenating tool is clinically proven to reduce wrinkles, improve facial contours and brighten skin tone for a smoother, softer complexion.